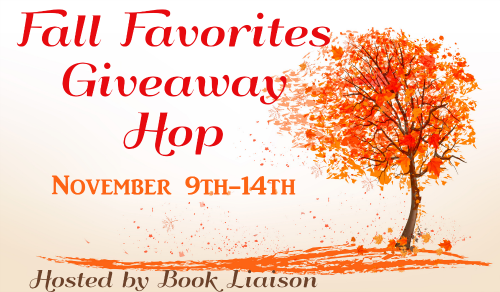 Thank you for joining us on the Fall Favorites Giveaway Hop! To enter to win a $10 Amazon eGift Card, Shy Kinda Love & Our Kinda Love Kindle eBooks (gifted from Amazon) fill out the Rafflecopter below. Then hop along for more great prizes! Have you ever met a girl who refuses to filter her words or actions, for anyone? Well, that’s me, Keegan Hughes. I make no apologies for I am… but my friends sometimes do. Have you ever met a guy who’s hyperactive and slightly delusional, yet still extremely hot? Well, that’s the man-child, Adrian Elliott, who is living next door to me for the next two semesters. He never makes apologies either, because when you have the attention span of a kitten on crack, it’s hard to remember who you’ve offended. Adrian is very different from my usual type, so I thought it would be easy to ignore my new neighbor. Unfortunately, my quirky personality has become his new entertainment. After several encounters that left me confused, but more attracted to him, I almost look forward to his unpredictable antics. In need of help, Adrian shares with me the nightmare his father has, and still is, putting him through. He then makes a proposal that could benefit us both. Unable to resist his plea, I cautiously agree. I was not prepared for his medication-worthy jealousy, or my ridiculous obsessive thoughts about him. I warn him from the beginning of this game that I’ll leave when I’m done, regardless of feelings. My future is not filled with kids, boring routines, or picket fences, white or any other color. My future is not even in this country. As long as we both understand this from the beginning, no one will get hurt, right? Beautiful giveaway! Nice fall reads 2look4 to! Thanks! I so enjoy these giveaways, as they give readers a chance to meet some amazing new authors! Thanks for the chance. thank you for the chance. It sounds like an interesting book. Will have to check it out. looks and sounds fantastic! Thanks for sharing!